In stock -This product will ship today if ordered within the next 2 hours and 32 minutes. 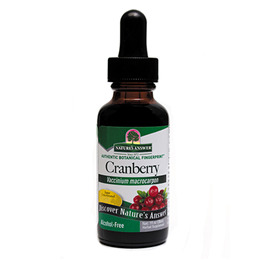 Nature`s Answer Cranberry is an alcohol-free, Kosher parve fluid extract that promotes healthy digestion. Nature`s Answer alcohol-free extracts are produced by removing the alcohol through our cold Bio-Chelated proprietary extraction process, yielding a Holistically Balanced standardised extract. Liquid extracts are absorbed faster than tablets or capsules and are more potent than tinctures. As a dietary supplement take 2ml (56 drops) 3 times a day, in a small amount of water. 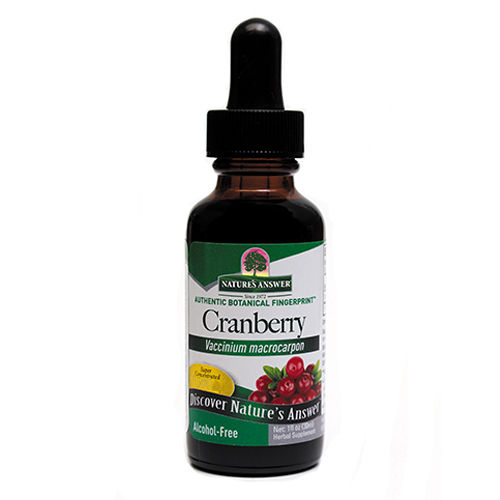 Below are reviews of Nature`s Answer Cranberry - 30ml by bodykind customers. If you have tried this product we'd love to hear what you think so please leave a review.